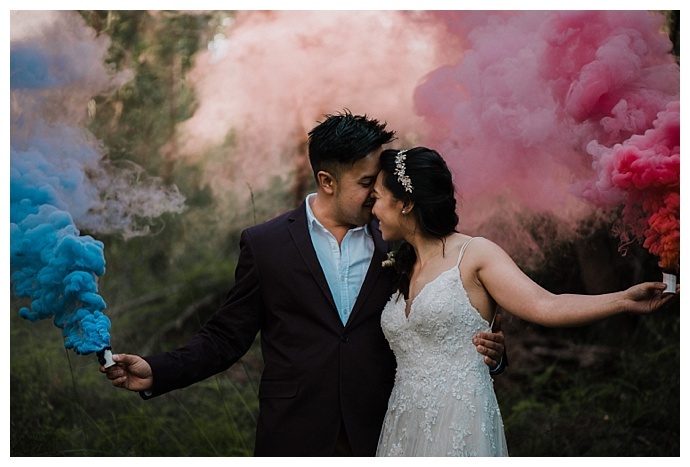 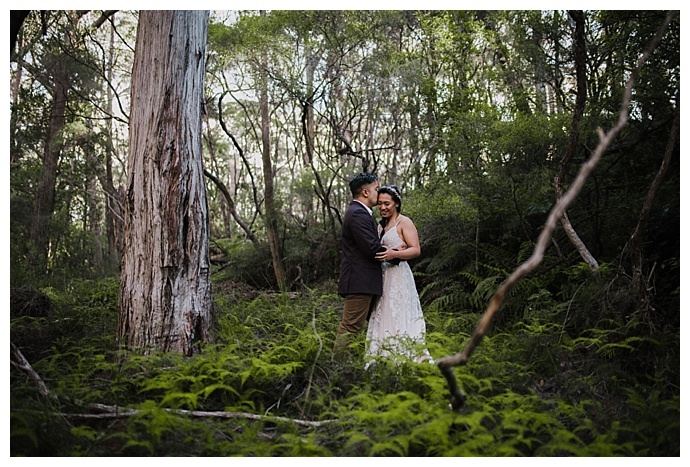 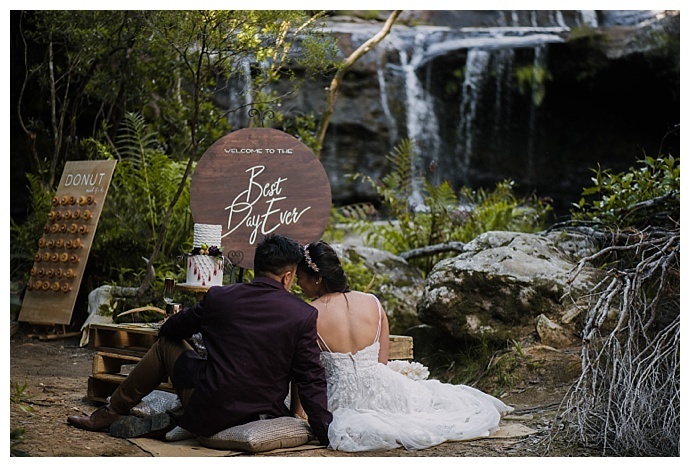 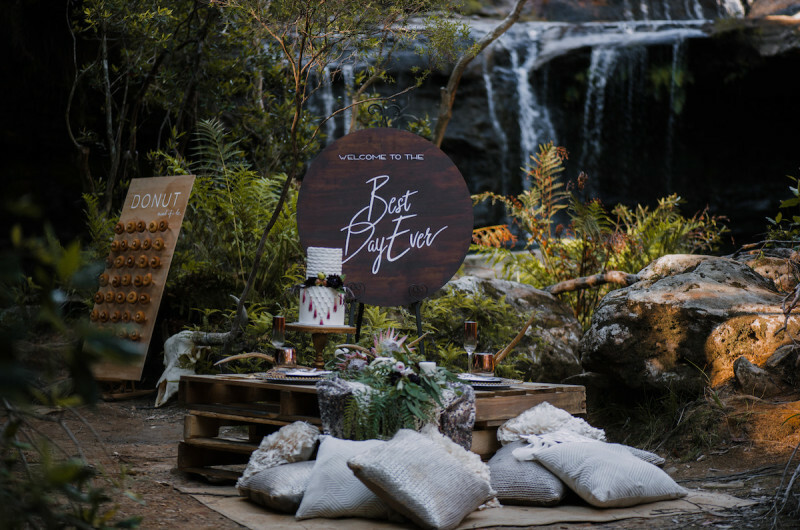 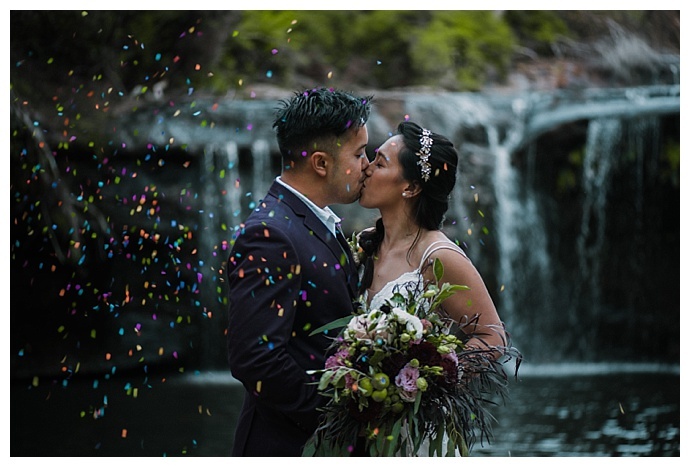 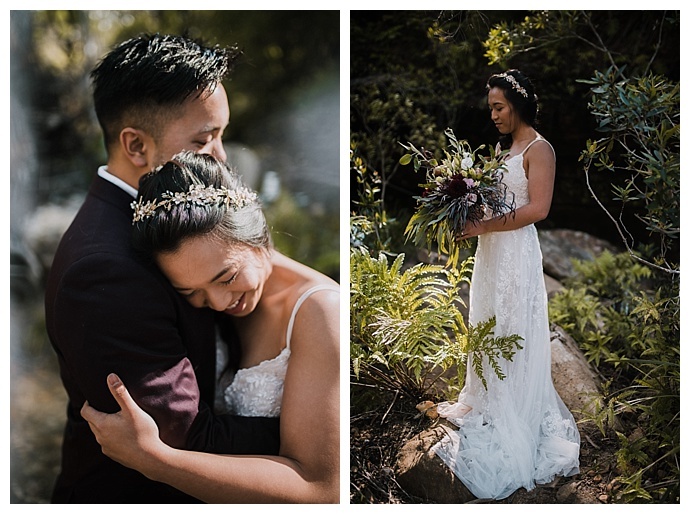 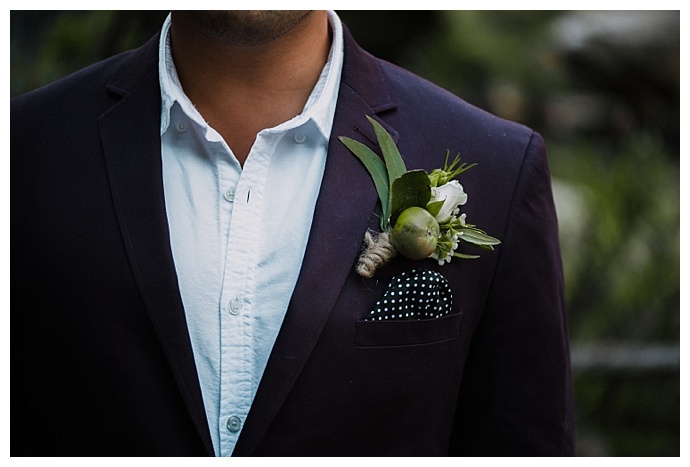 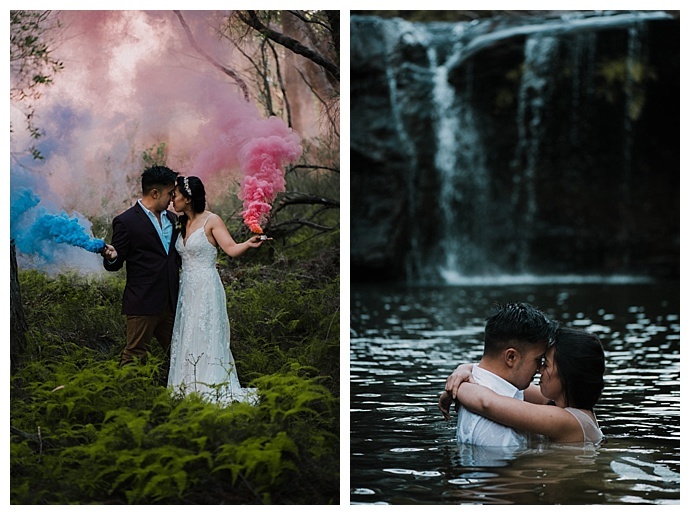 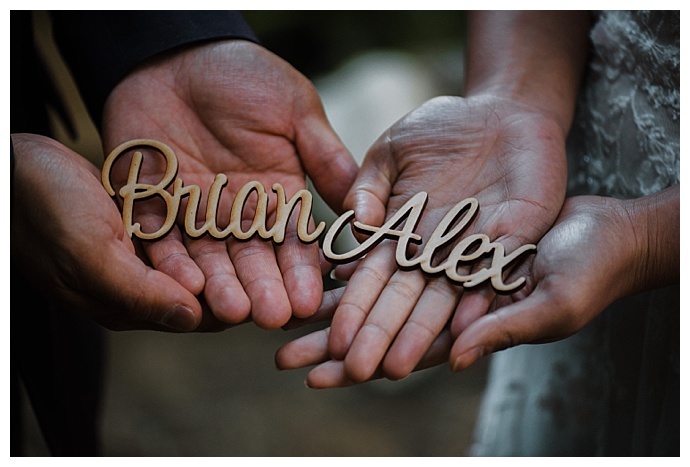 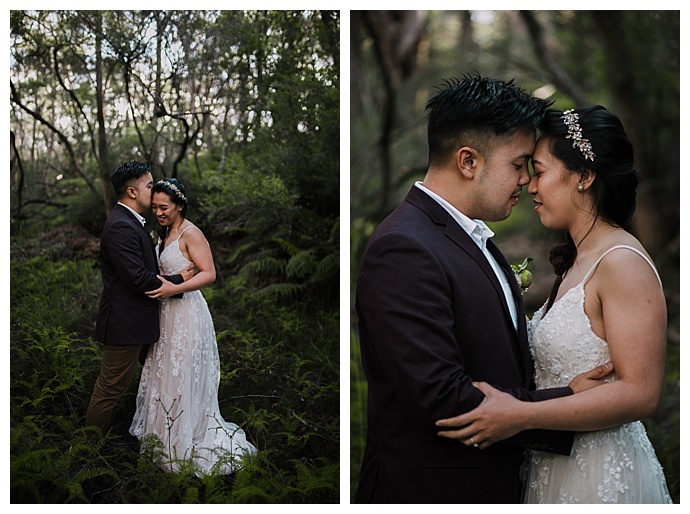 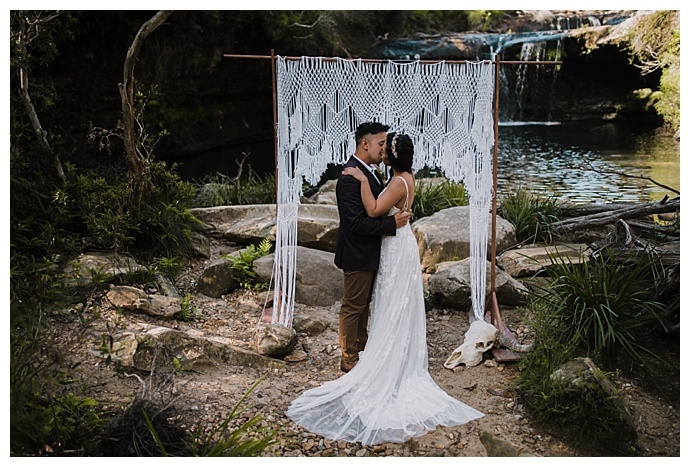 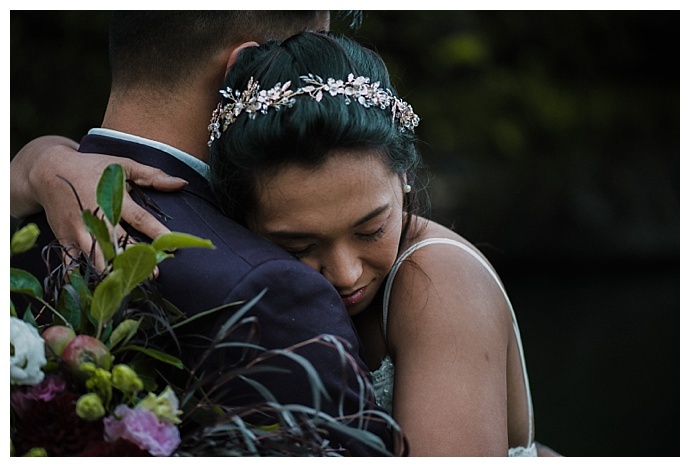 Near the south coast of Australia where a romantic oasis of waterfalls and scenic rainforest are hidden within Budderoo National Park, a whimsical picnic for two was the perfect way to celebrate after a dreamy intimate elopement. 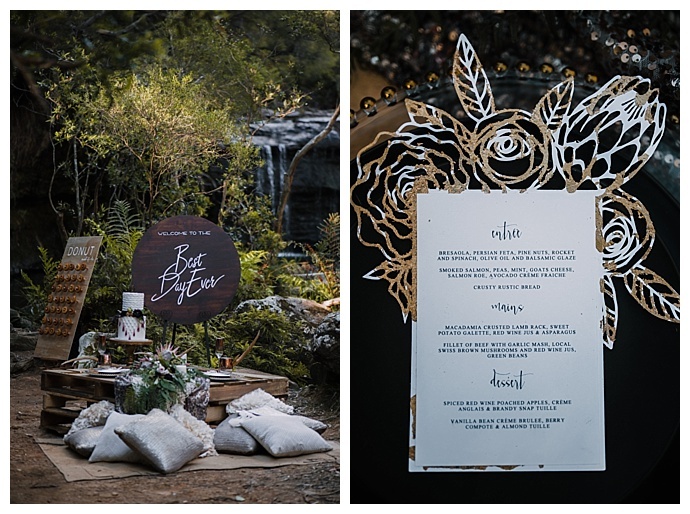 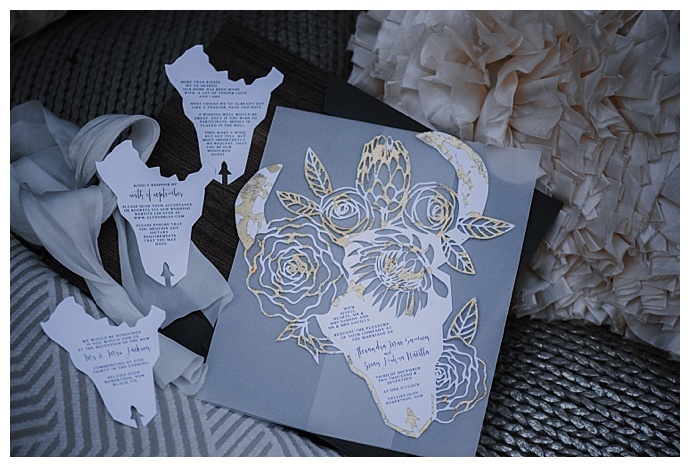 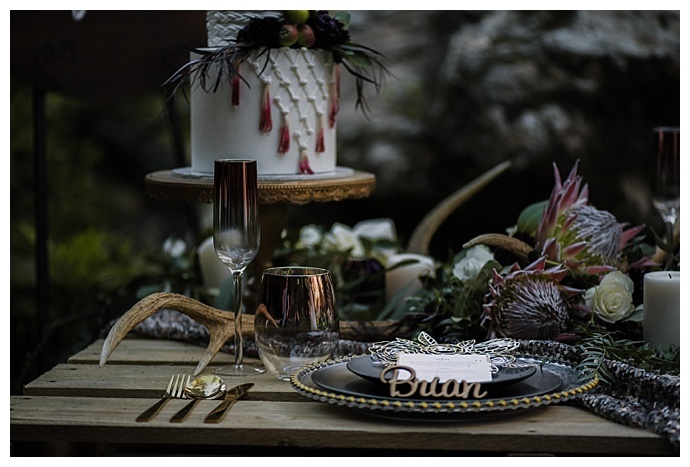 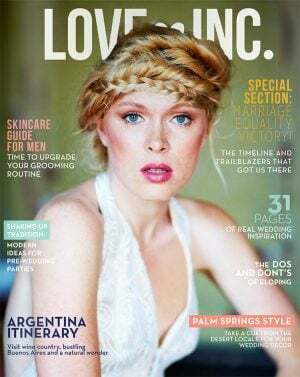 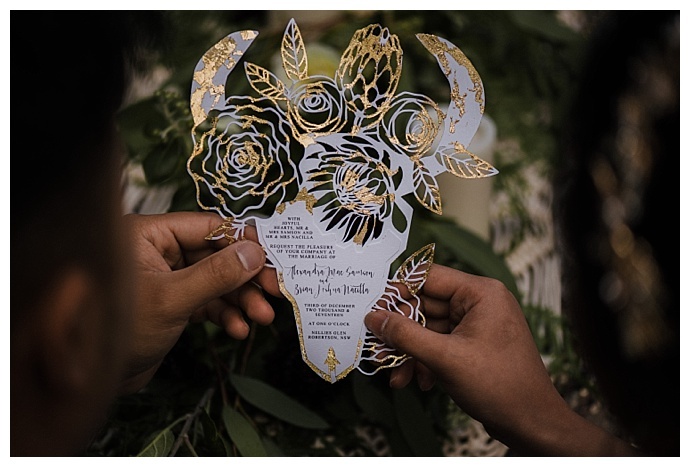 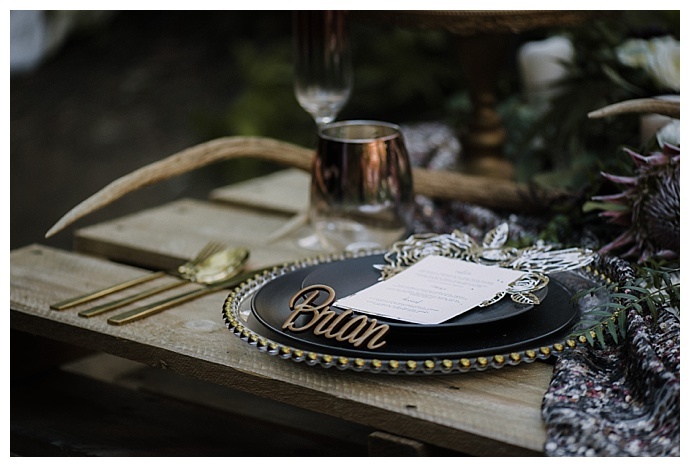 The natural beauty and lush landscape in the park inspired local creatives to dream up a whimsical inspiration shoot filled with beautiful bohemian details. 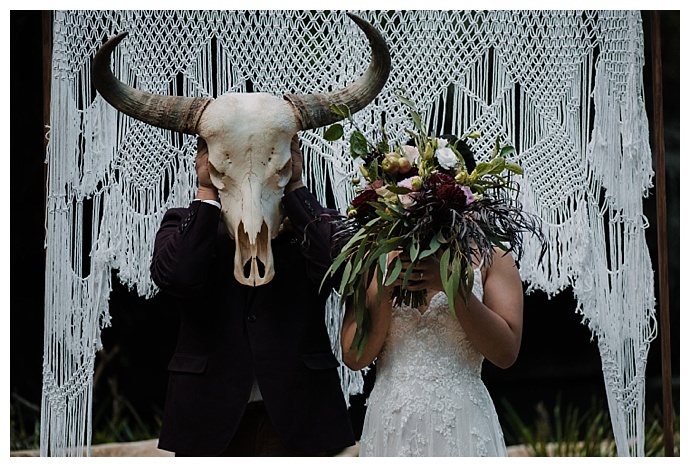 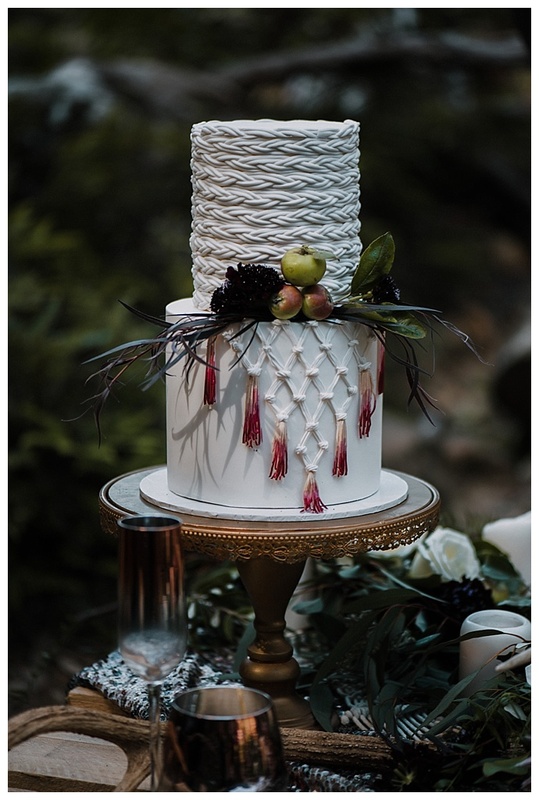 We love everything from the macrame ceremony backdrop and hand-cut invitation suite to the antler details, but our favorite detail of all is the macrame icing and ombré coloring on the incredible wedding cake. 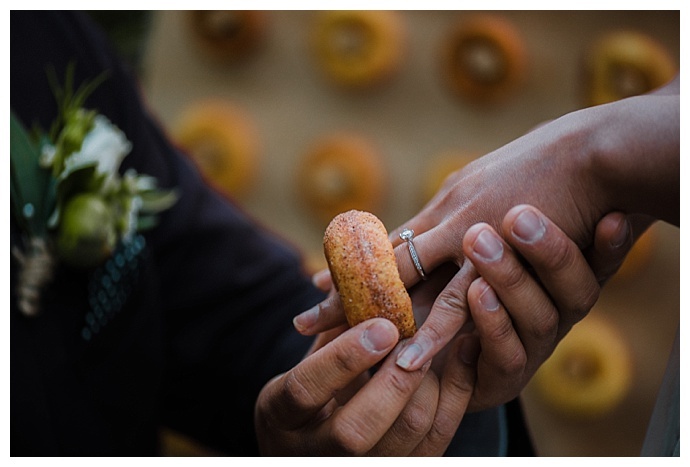 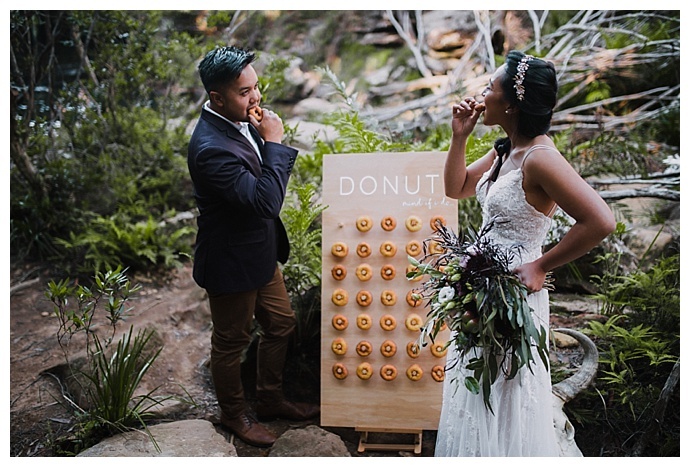 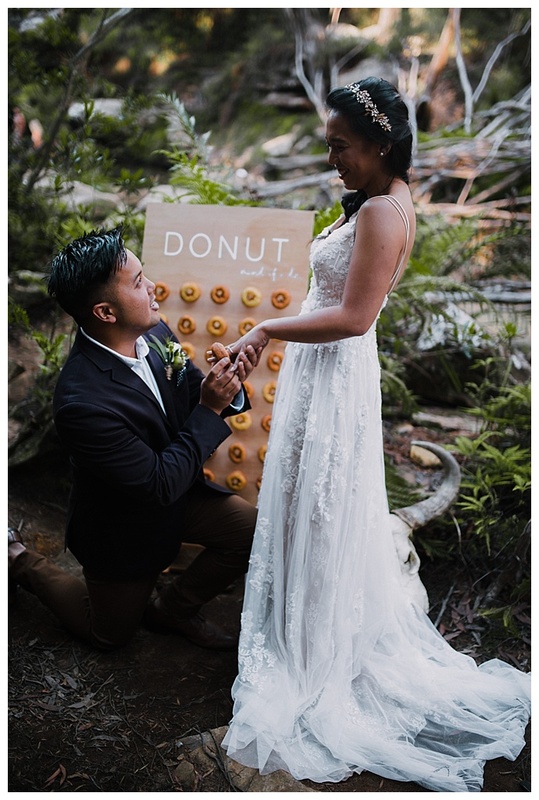 And as if the cake weren’t sweet enough, a wall of donuts provided the perfect opportunity for the groom to declare his love for his bride once again. 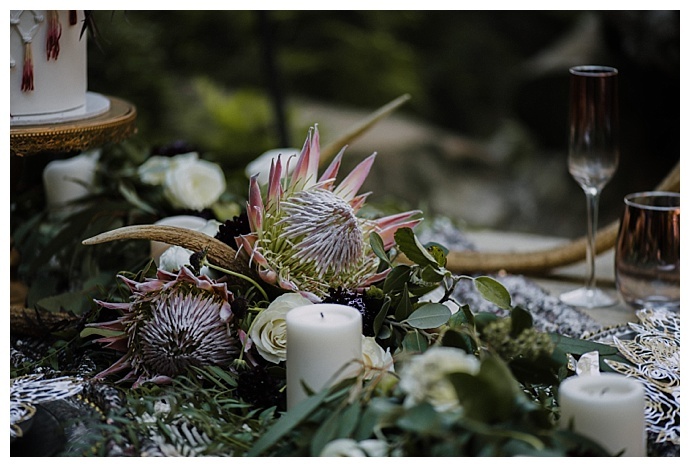 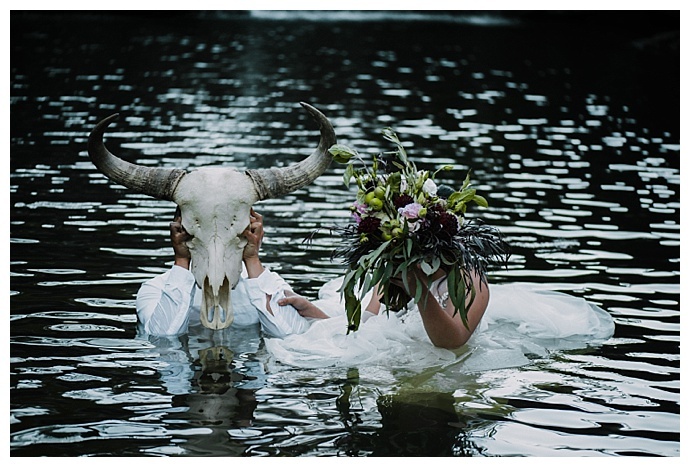 Captured by Translucent Photography, this dreamy inspiration shoot leaves much to inspired by!